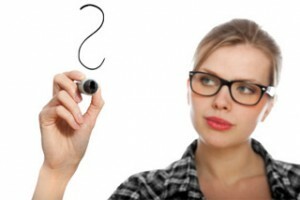 How do orthotics help your TMJ? TMJ is a medical condition that affects your muscular and nervous systems, which explains why many patients experience pain in their shoulders, backs, and necks. While some think the only symptoms of the condition are a popping in the jaw and jaw pain, it can manifest in various ways, including keeping you from getting a good night’s sleep and preventing you from chewing your food properly. Chronic headache or migraine is one common symptom that is often misdiagnosed. There are a number of different causes of TMJ, including trauma to the mouth, clenching your teeth, joint inflammation, arthritis or another degenerative bone disorder. Any type of damage to the joint, including damage caused by a disease or injury, can lead to symptoms of this disorder, but an orthotic can provide some relief. Orthotics are orthopedic appliances designed to correct underlying orthopedic or occlusal pathology. A diagnostic physiologic orthotic is an orthopedic appliance utilized to evaluate treatment positions and effect of reversible treatments before long term corrections are made. TMJ orthotics are ideally made to a physiologic position and they are worn 24 hours/ day seven days a week. The changes that occur are not only in the position of the jaws and jaw joints and jaw muscles but rather changes that occur through the entire postural chain from head to toe with the majority of changes taking place between the head and the sacrum. All orthotics are not alike. Depending upon the design and fit orthotics can have little to no effect or even increase symptoms. The orthotic is designed to unload the joint (a mechanical effect) and to relax the muscles and give a physiologically health landing position. Some patients may require seperate daytime and nighttime orthotics. During the day the orthotic is used for all aspects of daly living and must be comfortable and attractive. Orthotics must be worn continuously to allow healing to occur. Part time orthotic wear may give some relief but full-time wear is ideal when permanent correction is sought. A TMJ orthotic is distinctly different from a Bruxism Appliance. A Bruxism appliance is a small device designed to prevent the symptoms of bruxism, which is the medical term for teeth grinding. 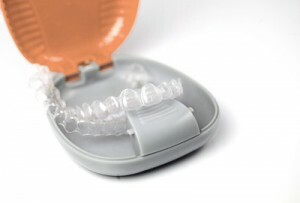 Also known as mouthguards, mouthpieces and bite plates, these devices fit inside your mouth and provide little to no discomfort. Made from a multitude of strong materials, your dentist can chose from a variety of materials whether he or she wants a hard or soft appliance or a combination appliance. The bruxism guard is fit over your upper teeth or your lower teeth, and it will keep you from causing damage when you are grinding your teeth. Instead of wearing down your teeth you wear out the plastic which is softer than your teeth. The motion of moving your jaw back and forth can slowly wear down the enamel and cause cracks and chips to form in your teeth. This motion can also increase your TMJ symptoms and cause additional pain. Bruxism appliance are similar to the some mouthguards that you might use while playing football or another sport, and these products offer a temporary solution to the pain and discomfort that you feel. The TMJ orthotic can also be used for sports but is designed to improve performance and idealize physiological function as well as protect the teeth from trauma. 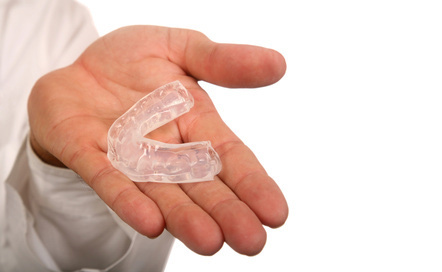 In addition to a TMJ mouth guard, there are other non-surgical TMJ treatments available to you. During the first phase, the doctor will look at remedies that won’t interfere with your life or daily activities. Physical therapy, which includes using heating pads or cold packs and exercising, is one way to strengthen your teeth and reduce your TMJ symptoms. Your physical therapist will work with you in the office and give you exercises that you can use at home, including exercises that show you how to reduce your bite and increase the strength of your upper or lower jaw. Spehnopalatine Ganglion blocks are frequently used when there is an autonomic portion to the pain. This is frequent in chronic daily headaches as well as many types of migraines as well as other issues. They stimulate a relaxed condition that frequently alleviates pain and prevents it return. Trigger points in muscles are also looked at during phase 1 treatment. Ultra low frequency TENS can eliminate much or the muscle spasm and chronic hypertonicity. Trigger points are sometimes resistant to general treatments but respond well to trigger point injections and spray and stretch techniques utilizing vapor coolants. Myositis is an inflammation of a muscle usually from organic causes. It is very painful with function and function is severely limited. There can be different types of muscle pain occurring concurrently. If you have frozen muscles that do not move or loosen over time, the doctor might suggest steroid injections. A small needle inserted into the jaw or neck forces the steroid deep into the muscle to unfreeze the area. Some forms of medication, including anti-inflammatory medications, can also reduce your symptoms. Steroid are usually not a first choice for treatment but can give relief. Depending on the severity of your TMJ, your dentist may either recommend over the counter medications or give you a prescription for an anti-inflammatory or pain medication. The best is treatment is to eliminate the causes of the pain and inflammation and to allow healing to occur. Use of strides or anti-inflammatory meds will give poor results if the underlying cause is not addressed. 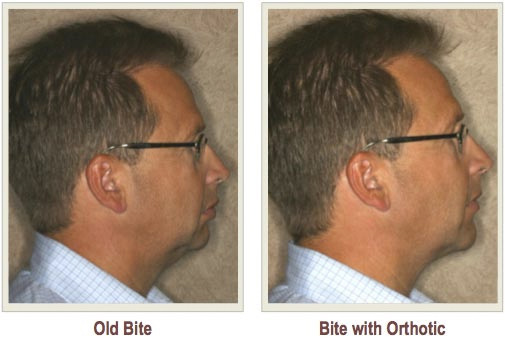 There is no “CURE” for TMJ but treatment can eliminate the pain and dysfunction vastly IMPROVE YOUR QUALITY OF LIFE! 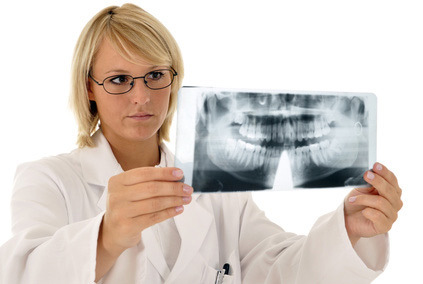 There are permanent changes that occur from long term TMJ disorders and/or pain. A “TRUE CURE” would give you a do-over on the years you spent in pain which changes you physically and mentally. Many life choice are altered when we are in pain. We will make recommendations on multiple treatment options. The final option always belongs to you, the patient. 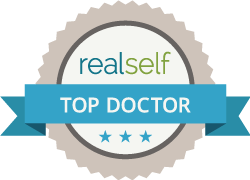 We strive to find treatment that works perfectly for you, but we rely on you to defining what perfect is. A TMJ orthotic helps improve your bite, unloads the joints from excessive pressure and allows muscle relaxation while preventing damage from bruxism. The more advanced physiologic orthotics are designed for 24 hour continual wear. Other treatments include braces, cast orthotics, DNA Appliances and surgical procedures, but your doctor will work with you before determining that you need one of those more complicated procedures. You shouldn’t feel tied down because of the TMJ symptoms that you experience on an average day. Patients today will find different products that will let them recover and beat their conditions. If you have questions about whether TMJ orthotics can improve your health, smile, posture, breathing and reduce your symptoms, please read my e-book on TMJ today.